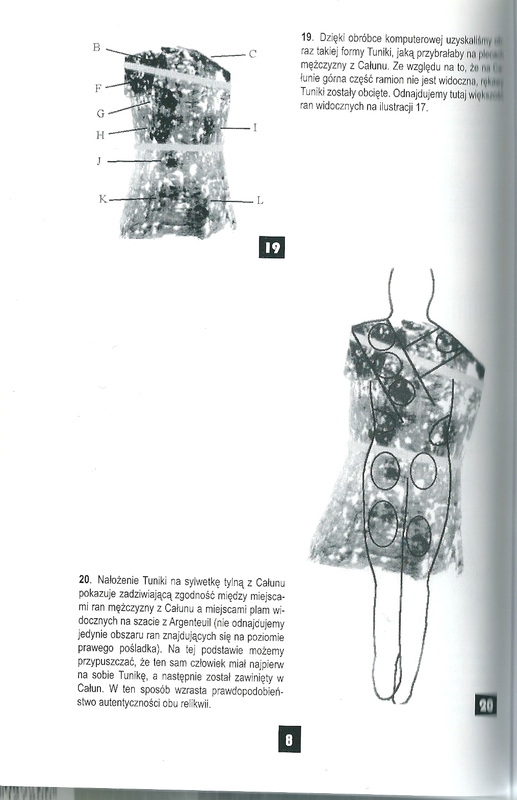 In 1998 scientists at the Optics Institute in Orsay decided to compare the bloodstain patterns on the Tunic of Argenteuil and on the Turin Shroud They created realistic and rotational computerized geometric models of what the tunic would look like if worn by a man of the same physical stature and morphology as the man depicted on the shroud. The result was absolutely bewildering: it turned out that the bloodstains on the tunic were aligned exactly with the imprinted wounds visible on the shroud. Overlaying both images drove the scientists to the conclusion that both clothes were stained by the same bleeding man. Could that man have been Jesus of Nazareth? It was confirmed that the tunic was produced using horizontal looms, whose width matched the proportions of those looms used in Christ’s time. The weave, made using a so-called Z twist, indicates that the robe was probably made in the Near or Middle East. The fabric’s dye was made of dyer’s madder (Rubia tinctorum), which was in widespread use in ancient times around the Mediterranean Basin. The dyeing took place before the fabric was woven, and alum was used alongside the dye to dress the cloth. Both of these practices were common in the first century. Because of these results, interest in the tunic steadily grew throughout the scientific community. In 2004, the Institute of Genetic Molecular Anthropology in Paris commenced tests on the relic. During restoration work one year earlier, the tunic was cleaned with a special vacuum cleaner. Scientists therefore decided to analyze the vacuumed particles. With the use of a scanning electron microscope (SEM), they discovered 115 pollen grains belonged (sic) to 18 plant species. The most frequently occurring types of pollen were from: nettle (Urtica fragilis), with 41 grains, and Syrian mesquite (Prosopis farcta), with 13 grains. Most of the pollen grains belonged to species that had already been discovered on the Turin Shroud (six species) and the Sudarium of Oviedo (seven species) Among them were Lebanon cedar (Cedrus libani) and spreading pellitory (Parietaria judaica). The most significant discovery, however, was of two species endemic to Palestine: the terebinth (Pistacia palaestina) and the tamarisk (Tamarix hampeana). Their pollen grains have likewise been discovered on the Turin and Oviedo cloths. From all the tests conducted on the Holy Tunic of Argenteuil, only one result challenges its ancient origins. This was achieved using carbon dating tests, which took place in 2004 and 2005 under the initiative of the subprefect of Argenteuil, Jean-Pierre Maurice. 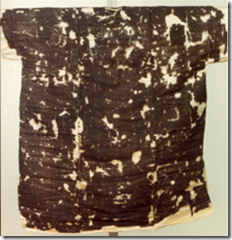 A sample of the relic’s fabric was tested twice using C14 radiocarbon particles. The first test, in 2004, concluded that the tunic dated back to between A.D. 530 and 650, and the second test, in 2005, placed the date between 670 and 880. Already, the variation in results points to the unreliable nature of carbon testing, as has been discussed with regard to the Turin Shroud. Lucotte says he following with regard to the limitations of carbon dating: "There are many factors that can alter the results of tests using radiocarbon particles. Even scientists who carry out the tests admit that this method of dating only works properly when the test sample is actually representative of the material whose age one wishes to determine. In other words, the C14 particles in the test sample must come from the same era as the fabric as a whole. If at some point over the years the fabric became suffused with either older or younger carbon particles, then the tests would obviously be rendered inconclusive. In the case where older carbon particles are present, the fabric is dated as being older than it is, and the opposite is true if the fabric contains younger carbon particles." Carbon dating can be particularly unreliable with fabrics, since they easily absorb fluids containing substances in which one can find traces of carbon, such as calcium carbonate (which occurs naturally as chalk, limestone, and marble) or organic materials. The presence of these carbon particles, which can be deeply embedded within the fabric, can have a great effect on test results. In the case of the Tunic of Argenteuil this is highly likely: in an attempt to protect it from insects and mold, the relic was treated in the last century with the insecticide DDT, which contains a large amount of carbon. What are the reasons why many in the debate on the Shroud of Turin, lined up for the authenticity of the Shroud? There is not reason to believe that the Shroud is medieval? [Is it] true that it is irreproducible? During the creation of this special dedicated to the Holy Shroud, in view of ‘ exposition of April , we spoke with many scholars of the Cloth, between the so-called ‘non autenticisti’ we discussed, among others, with historians Andrea Nicolotti , scholar of the history of Christianity and researcher at the University of Turin, and Antonio Lombatti , Popular University of Parma, and the chemical Luigi Garlaschelli , Professor of Organic Chemistry at the University of Pavia. From conversations with Garlaschelli and Nicolotti (that for our Special realized some services that will be published in the coming weeks), we extracted a summary of the ‘reasons for not’ the authenticity of the Shroud. The linen threads of the Shroud have a twisting opposite to that in use in Israel at the time of Jesus; this twisting, however, is the same that was used in Europe in the Middle Ages. Then the shroud is not a fabric produced in Palestine at the time of Jesus . The flax is woven with the technique twill from 3 Alloy 1, that is, each warp yarn passes over three weft yarns and under the fourth, and so on , alternately, so as to form a diagonal pattern. This trend is mirrored and gives rise to an effect to ‘zig zag’ said ‘herringbone’. It is not known in ancient times , before the Middle Ages, no linen fabric large and complex as the shroud that has been woven with this technique , with which the frames would have been at the disposal of the old extreme complexity to the point of making it almost impossible. No ‘ shroud ‘ and no linen fabric ancient comparable to the shroud is made ​​in this way . The oldest examples found so far, which are technically comparable to the Shroud are all back to the thirteenth century. The Shroud of Turin is completely different from the various fragments of authentic Palestinian shrouds of the first century known to archaeologists, found in tombs at Masada, ‘En Gedi, Jericho, Akeldama. It seems that the real shrouds were wrapped around the body and tied , and not placed above and below , and stir well stretched in the longitudinal direction, as seems to be the case for that of Turin. 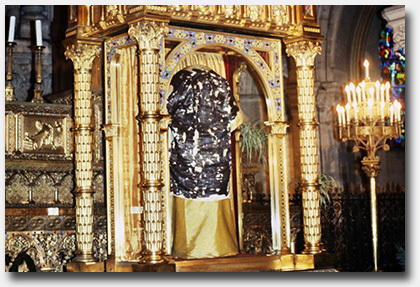 The Shroud is not even consistent with the description of the Gospel , which speaks of various linens and a shroud on the head, smaller and distinguished from other fabrics. Also the Gospels do not say that Jesus was put in a sheet , but that was wrapped and tied in cloth, which is incompatible with what you see in the Shroud of Turin , where there are no signs of ligatures and windings . The Gospels do not mention no human footprint that would remain etched in the burial cloth of Jesus. 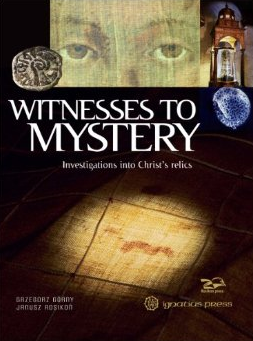 The Shroud of Turin is not known from the first century , in fact, for several centuries, no one ever said that the burial cloth of Jesus had been saved and preserved . It is likely that the Jews of Jesus’ followers have not even touched, because for the Jews of that time as to those of today that has touched a corpse is impure and transmits impurities. The Shroud of Turin does not resemble any of the shrouds that, from the sixth century AD, began to be described by many pilgrims who visited the holy places and knew the various relics, today recognized almost all false, that they began to be produced at ‘era. It is highly unlikely that a genuine relic with an image of Christ as the Shroud was never mentioned by anyone until the Middle Ages . The Shroud of Turin is by no means a relic of ancient and unique, because before it appeared there were other ‘shrouds’ elsewhere and most well-known and revered (Rome, Constantinople, Jerusalem, Compiègne, Aachen, Cadouin, Mainz, etc.) , all considered authentic until the modern era. The Shroud of Turin suddenly appeared in France , in Lirey , in the diocese of Troyes, towards 1355. Immediately Henri de Poitiers , the bishop of the local diocese of Troyes, which was opposed all’ostensione made, considering it an obvious fake. The exhibitions resumed after about thirty years, and yet the new bishop, Pierre d’Arcis , opposed. After a long standoff between him and the dean of the church where the exhibitions took place in 1389, the bishop appealed to Pope Clement VII with a long memorial, in which he tells how his predecessor had even found the artist that ‘ had ‘cleverly painted’. The Pope allowed the exhibitions only as long as you say every time that it was a representation, and not the true Shroud of Christ. At the time of these fights anyone, neither the Pope , nor the bishops , nor the canons of Lirey neither the owners of the Shroud never claimed that it was true , indeed, everyone called ‘figure’ or ‘representation’ of the true shroud of Jesus . The luck of the Shroud began only when it was illegally sold to the Duke of Savoy from a woman who died excommunicated for his action. Because of the power of the ducal family, slowly were forgotten and hidden the little noble origins and initial controversy, through a work of falsification of the history of the Shroud that lasted until the early twentieth century. Once in their hands , the Savoys increasingly promoted the cult , as a relic of the royal family, to obtain the endorsement of some popes declared , from Julius II . Among the thousands of medieval relics (thorns of the crown, wood and nails of the cross, sandals and robes of Jesus, fragments of his umbilical cord of his foreskin, his hair and more), the shrouds, certainly not lacking. Generally were white sheets, as the Gospels do not mention any impression on them. But there were also small towels called ‘Veronica’ or ‘Mandili’, which, according to various legends, Jesus would have left imprinted on his face alive. Perhaps the union of the two concepts of miraculous imprint and shroud, especially from Veronica, who was born the idea of a shroud bearing the imprint of the entire body. Considering the Shroud image is known the total lack of geometric deformations that would be expected from an imprint left -with any means- by a human body covered by a towel . Several researchers have tried to cover a voluntary colorful painting , and appoggiargli over a sheet . Obviously the result is a horribly deformed, and no halftones and nuances of the real Shroud, but rather a ‘stamp effect’. The image of the Shroud, which seems so perfect, it is absolutely unrealistic: too good to be true . Abused and inconsistent is the reference to the alleged special ‘ negativity ‘ of the Shroud image , ‘discovered’ in 1898 when the Shroud was photographed for the first time. The discussion on this point also coincides with the birth of the Shroud. In fact the shape of the body presents a reversal of light and shade than the reality ; parts of the body more in relief, those that should be more exposed to light (such as the nose), on the fabric are darker, while those less in relief, and then further away from the fabric and less illuminated by the light (as the orbits eyes) are less dark. This has nothing strange nor means that the author was so clever to know the effect of modern photographic negatives, as often claimed: it is simply the result of a normal decals , just what an architect would have wanted to make to give the ‘impression of a contact between a tissue and a body capable of leaving an image (bloody because, for example). Many sindonologists ‘autenticisti’ (the terms are in fact become almost synonymous) were and are coroners. In their view, the precision pathologic of wounds and injuries on the Shroud are completely realistic and compatible only with a real corpse. In fact any investigation of a medical nature on a figure stamped and in the absence of the true body is extremely speculative and based on unprovable assumptions . It is evident, however, that are not at all the pretty plausible dripping blood on the hair (which if anything should essersene matted and soaked), nor the existence of an imprint hair themselves , that a person would fall backwards without lying trace on the front side. It has also been experimentally verified that the direction of true dripping blood on the forearms, on the backs of the hands and side follow trends quite different from those depicted on the Holy Cloth. But are the laboratory analyzes those mentioned by now discussed more frequently; for instance as to the presence or absence of blood. Obviously, on a false shroud could find blood, dyes, or both; but a shroud true-even if it had been doctored with colorimetric must necessarily possess traces of blood. A first commission of inquiry set up by Cardinal Michele Pellegrino gave in 1969-1973, however, disappointing results. The forensic analysis laboratory of Professor Giorgio Frache Modena (test chemical, chromatographic and immunological) had only negative results . Microscopic examinations conducted by Guido Filogamo and Alberto Zina showed no traces of red blood cells or other blood corpuscles typical. We saw, however, the granules of a coloring material whose nature there is pronounced. It should also be noted that the ‘ blood ‘ on the shroud is still very red , while it is well known that normally the degradation of hemoglobin makes it very dark in a short time . In 1978 the then Archbishop of Turin Cardinal Anastasio Ballestrero (assisted by Professor Luigi Gonella Turin Polytechnic as a scientific consultant) allowed 120 hours of analysis in a group self-offertosi of American scientists, the STURP (Shroud of Turin Research Project ), which underwent a series of test chemical, physical and spectroscopic on which even today is discussed. In contrast with previous results, the chemical STURP John Heller and David Alan Adler said to have established the presence of blood because they had got the typical reactions. In 1980, however, the well-known American microscopist Walter McCrone on fibers that STURP had passed he found no blood, but traces of red ocher, vermilion (red pigment widely used in the Middle Ages) and Alizarin (plant pigment red-pink). McCrone reported, moreover, the presence of a binder for the pigment particles that saw, which could be collagen (gelatin), or egg white. In practice it would tempera paints. The intrinsic characteristics of the image, proven by scientists STURP, are very interesting. L ‘ image is superficial (does not pass on the other side of the sheet) and is not produced by pigments or dyes -a difference of blood stains, knead that the entire thickness of the canvas with a substance that bonds the fibers, and they are visible red particles. The image is due to a yellowing of the cellulose fibers , in practice to a degradation due to dehydration and oxidation. Analyses STURP indicated that body image has properties very similar to those of the burns , still clearly visible, that the Shroud suffered in the fire in 1532. Both the hypothesis of a slight burn (or singeing) than that of a chemical attack were deemed plausible , although the STURP failed to explain the genesis of an image with these characteristics, which lead many to exclude the work of an artist. Sindonologists insist that an image with these characteristics can not be achieved with the means available to a medieval craftsman. They therefore concentrate all their efforts to find supernatural mechanisms that explain the genesis. The assumption, however, is not acceptable. Various hypotheses have been put forward on how the Shroud was manufactured (eg using chemical or heat) that certainly would be more easily found on the original, if access is not prevented by its owners. The STURP , among others, recommended the radiocarbon dating of the relic by the method of carbon-14 to settle the question of authenticity. Only ten years later, in 1988, Cardinal Ballestrero and Gonella, under the supervision of the Pontifical Academy of Sciences, chose the three laboratories with more experience in this technique worldwide: Tucson, Oxford and Zurich. 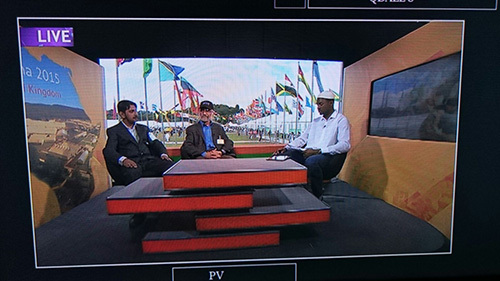 Coordinator was Professor Michael Tite of the British Museum, considered a prestigious institution above the parties. Small samples were taken from a corner of the cloth, and the overall results , published October 13, 1988, circumscribed the age of the cloth to the period between 1260 and 1390 . This means that the radiocarbon dating has fully confirmed the historical data (the Shroud appears suddenly in the middle ages, not before) and technological (the kind of fabric is not attested before the Middle Ages). Cardinal Ballestrero proved to accept and adapt to the results of the test honestly: " I think it is not appropriate to question the results. 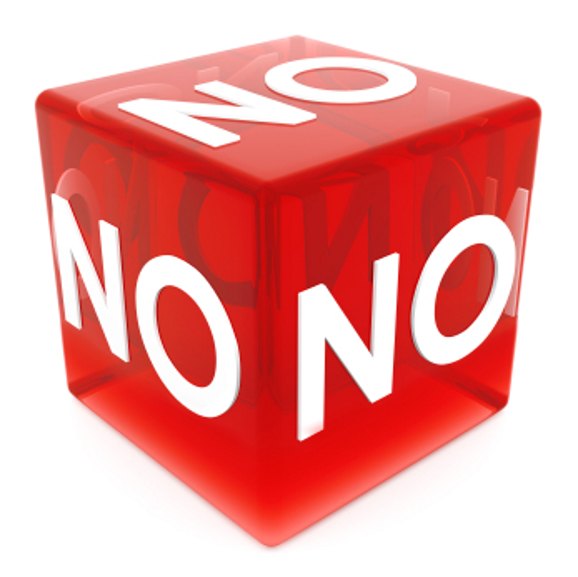 Nor is the case of reviewing the skins scientists if their response does not square with the reasons of the heart . " Who did not give the response of independent scientists were the advocates of authenticity to the bitter end, which imbastirono various lines of objections. Some delusional (conspiracy of laboratories with complicity Ballestrero), other laughable (collected fragments of a mending -obviously ever seen by any of the various textile experts who examined the Shroud wire instead of the pro-Shroud). The hypothesis most often repeated is that the levy was polluted by dirt consists of carbon more ‘modern’ that would have rejuvenated the cloth, but this is a topic that does not convince anyone of those who deal with radiodatazioni. In 1993 a Russian chemist immediately became famous, Dimitri Kouznetsov , stated that during the fire suffered by the Shroud in Chambéry in 1532 the carbon dioxide of the air would be fixed to the cellulose of the linen, making carbon ‘recent’. A careful reading of the works of Kouznetsov showed, however, errors and forcing. Attempts to scientifically reproduce his experiments failed one after the other. But only after careful investigation it was discovered that it was a real quack, who had also invented names of collaborators, magazines, museums and laboratories. It should be noted that none of the three laboratories of radiocarbon dating has never confirmed the objections of the Shroud. 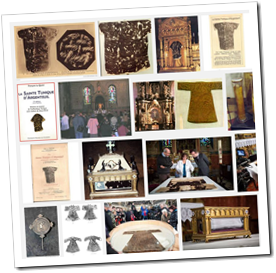 It should also be pointed out that radiocarbon dating is a tried and tested tool for archaeological dating, which each time has been applied to an alleged relic of Jesus provided a medieval dating (Shroud of Oviedo, title of the cross, the shroud of Carcassonne, tunic of Argenteuil, etc.) always rejected by the supporters of these relics. Other statements ‘wonderful’ of ‘autenticisti’ -fungi grown on the fabric, traces of Roman coins from the time of Pilate, written in various languages ​​[in] visible on the cloth, pollen ancient Middle East, prior to the fourteenth century miniatures depicting the Shroud – are, similarly, not very plausible. You might try a Bing translation. I could not get it to work. Google did what seems to be a good job but with some loss of formatting. I’ve tried to fix that in places. During September 2011, a one-day salvage excavation was conducted at the Sheikh Munis site in Ramat Aviv (Permit No. A-6273; map ref. 181587–667/668248–320; Fig. 1), prior to the construction of student dormitories. The excavation, undertaken on behalf of the Israel Antiquities Authority and underwritten by the Tel Aviv University . . .
And although z-twist remnants were found in two tombs, the tombs seem to be late Ottoman. How much significance can be drawn from this? But it does raise questions, again, about how much z-twist linen existed in earlier Palestine. Tomb 7–8. The tomb contained hamra fill.One individual, identified as a female 20–30 years of age, was discovered. A bundle of linen threads (diam. c. 1 cm; Fig. 6) was discovered in the tomb. The threads were not dyed and of cream color.They were Z-spun, which is not characteristic of the weaving technique in the country during this period. 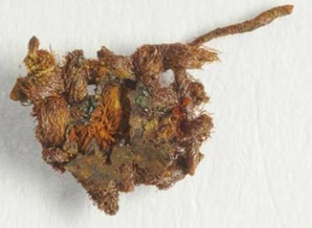 There are green dots of metallic corrosion on the bundle of threads, whichprobably belonged to a textile bead. A similar item was discovered in an excavation at Kefar Sava (‘Atiqot 61:91, Fig. 9). Tomb 37. The tomb contained hamra fill. One burial was discovered, but was not inspected. The tomb was covered with stone slabs (thickness 0.3–0.4 m; Fig. 8).Two copper rings were discovered on one of the fingers of the deceased and two fragments of a ring were lying alongside the hand (Figs. 9, 10). The rings are round hoops and remains of a metal sheet are visible in the center of two of them.Thin hoop rings are characteristic of the Late Ottoman period. A small piece of textile (0.5×1.0 cm; Fig. 11) attached to a bronze ring was discovered in the tomb; the textile was preserved thanks to the corrosion of the metal. The textile is made of undyed linen (it is brown today), is Z-spun, c. 12 threads per sq cm and of medium spinning. The traditional spinning in Israel was S-spun and therefore it is assumed that the textile was imported. The weaving is a plain weave, which is fairly common. The textile probably belonged to a shroud. And they divided up his raimant/tunic/robe/garment/garments/clothes by casting lots/dice/or some variation of rock-paper-scissors. Had Geiger counters been present they would have been clicking. The Markan priority is glaring. Yet despite and perhaps because of John we must wonder if the division of garments really happened and it was not merely a case of historizing prophecy (Psalm 22:18). If it happened there were probably multiple garments and some form of sortition such as drawing a short straw or rolling dice. There is no reason to think the Argenteuil is one of those garments. The same must be said for the Trier and the Mtskheta. But they each could be and all could be real. However, the Argenteuil has been carbon 14 dated and in the absence of compelling reason to doubt the tests, it should be considered fake. Because I’m Greek I’m 25% convinced the Mtskheta is the real seamless garment. Here is what else I think. The Turin Shroud may be real and there is compelling reason to fully reject the carbon dating because of chemical differences and evidence of mending. That is 100% solid stuff. The Oviedo may be real despite carbon dating because the work was sloppy and the results suspicious. I’m sort of 50/50 on the Oviedo. As for the the Argenteuil and the Titulus, I’m about 2%. Trying to validate belief in these relics with extreme pseudoscience and new age folderol is pure fantasy, the slathering of nuttiness onto biblical literalism. Next SSG will be studying pyramid crystals, herbs and magic potions. 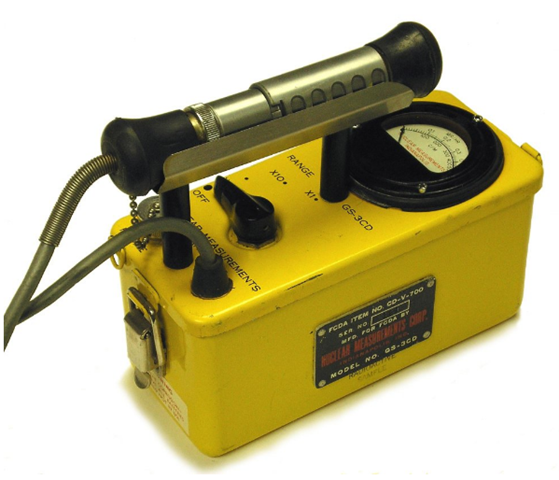 Next they will be using modified Geiger counters to measure holiness. This is [***]. I removed the last word.